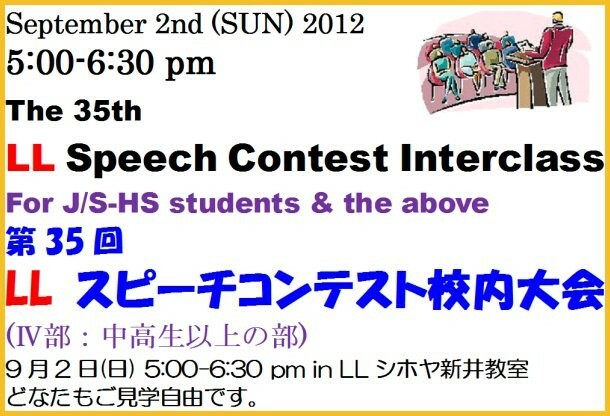 “#35 LL Speech Contest Interclass for J/S-High Students & Above” is held at LL Shihoya Arai School on Sunday, September 2nd, from 5:00 to 6:30 pm. Yoshy thinks it’s rather difficult for common junior or senior high school students to speak his/her own thoughts in the presence of other people; they need big guts. Yoshy wants every LL student not to be “one who always selects a big tree for your shelter,” “a wallflower,” “one of indecisive persons,” but to be “one who could maintain a strong will to state one’s opinion when necessary” in his/her bright future. There’re many students who said to Yoshy, “I’ll do my best to be join this event next year!” Yoshy neither compel the student to join this event nor spoil them. 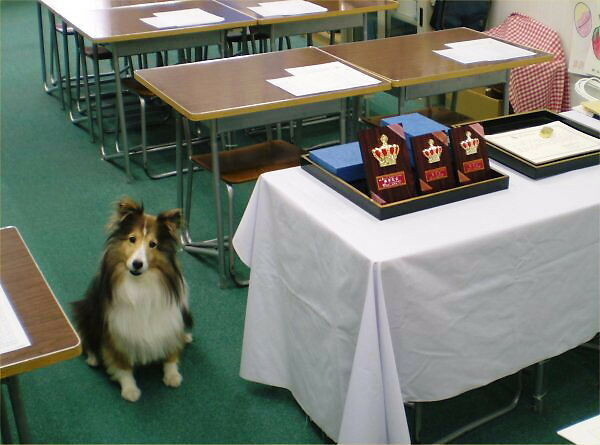 Eight students from their classes are going to stand in the presence of other LL students. Yoshy (Yoshiaki Endo) is in charge of a judge. 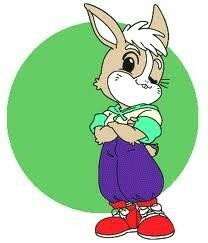 Admission is free for anyone; Yoshy is looking forward to seeing you! “The two senior high school students in the top” can book a ticket to “Niigata Prefectural Speech Contest” at Ao-re Nagaoka on Sunday, December 9th. 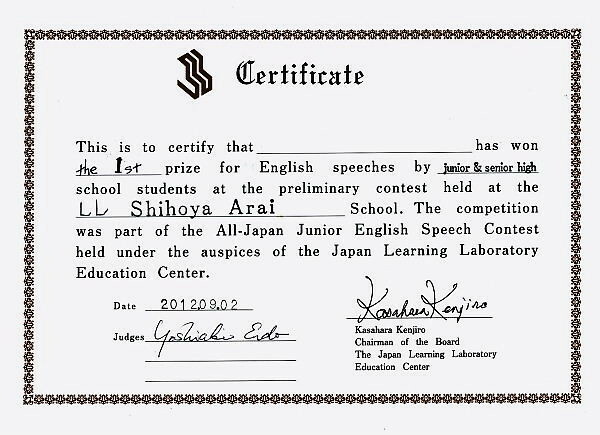 By the way, “LL Speech Contest Interclass for Elementary School Students & Under” is going to be held at Kin-ken Center on Sunday, October 7th, from 2:00 to 5:00 pm. “An English Drama, Belling the Cat” is, too in it. Look forward, please.